This cross necklace is made of solid high polished stainless steel. The front features a high polished cross on a matte black background surrounded by a high polished frame. 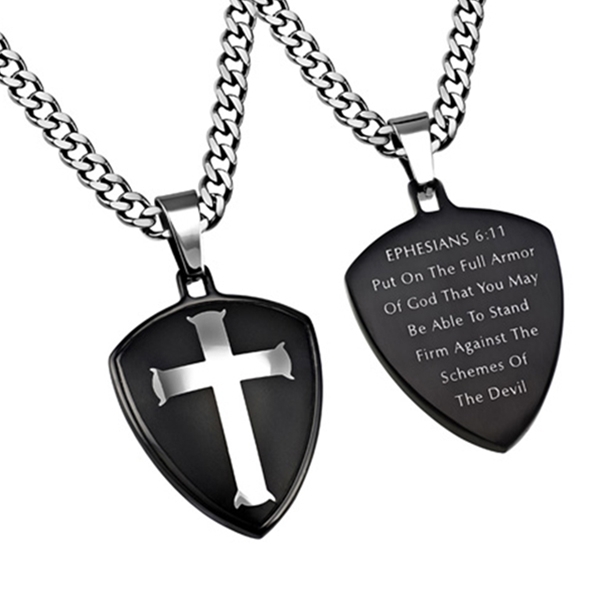 The back is engraved with the message "Ephesians 6:11, Put On The Full Armor Of God That You May Be Able To Stand Firm Against The Schemes Of The Devil." Cross shield measures 1" x 1 1/4".